This is just a rant. I hope to do a followup post once I fix the damn problem. Man, EXIF and iOS and browsers == bad, bad news. So, iOS doesn't bother to actually rotate a JPG when it stores it in memory, just notes which way the camera was held in the EXIF metadata, and sophisticated display programs do the right thing to show you your image right way up. Fair enough, I guess, rotating big chunks of memory is hard work for a device. BUT -- Chrome Safari and Firefox ignore the EXIF when it's a jpg in an img tag, so the images appear at all kinds of random orientations, but then they respect it when you open up the image by itself in a tab. (!!!) IE just always ignores it. So points for consistency for IE. http://alienbill.com/kirkdev/exif/raw/view.html if you want to see this wonderous magic for yourself. I was all psyched about my this drag and drop image upload library I found ( http://www.dropzonejs.com/ ) but now I have to figure out how to get ImageMagick to fix this crap before I can enjoy the fruits of my labor. This is really horrendous. UPDATE: an uncool and limited but dead simple and effective for my needs solution is to open up the iOS image in OSX Preview and hit cmd-S for Save. The resulting file I can then drag right into my dropzone.js-based UI. BETTER UPDATE: the secret is to use imagemagick's mogrify -auto-orient command - see this blog post for more. PROTIP: If you have an expired PC laptop and want its harddrive (either for retrieving files or for cheap disk space) you can get a USB enclosure for small money. This one runs about $7 and comes with everything you need, even the USB cable and tiny screwdriver. 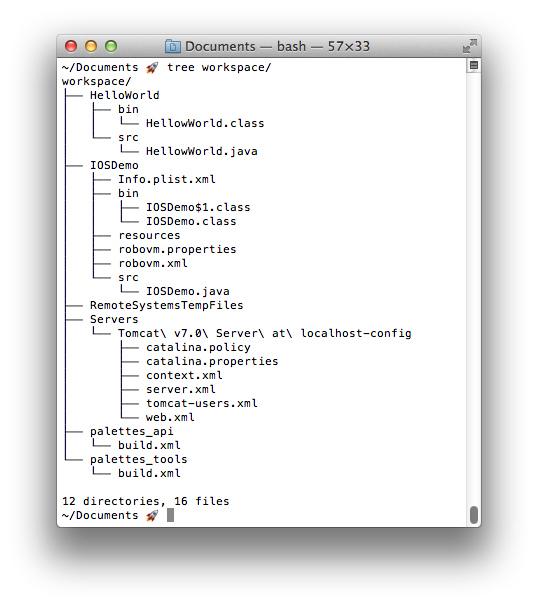 There's a useful Terminal command called "tree" that you can easily install on a Mac (if you have Homebrew installed, at least.) It's like a variant of "ls" that produces a nice hierarchical view of a parent folder recursively on down. to see what software has been installed using it. My company did a Hackmatch/Hackathon last night. I ran a one-man team converting a dynamic Excel spreadsheet (meant for helping a scrum team plot out its hours and make commitments) into a one webpage app; partly for me to practice Angular, partly because I'm now scrummaster and I dislike using Excel. Anyway, looking for a bit of visual distinction, I threw in a large photo of a Rugby Scrum as a background, but of course then the risk was making things dificult to read. I set the various sections into background divs (inline-block'd so they were sized to hold their contents, not full browser width) but then I wanted to set the opacity, so they didn't block out the cool background. But I didn't actually want the controls to be opaque! What to do? I'm pleased with the result! I have only meager graphics design skills, so I like tricks like using an oversized photo, easy, underutilized hacks to make a page standout. Doing some angular 101 stuff for a hackathon at work. Angular's ng-options parameter for a select is kind of obscure, and the official documentation is terribly arcane. This explanation, with examples, is about as good as anything I could find. and honestly, I'm not sold that the best way to be is "write your own tags". "Programs, like People, should be judged by what they 'do' not by what you think they 'are'"
I really think systems should be easier to model in your head. I haven't looked into it but I think Backbone.js might be more to my liking, providing certain tools you can take or leave, and while it imposes a certain set of assumptions on the data going back and forth from the server and what your REST URLs look like, it's value proposition is clear. for me, so far, Angular fails that, rather hard. Thinking about why was instructional: it's because my style of jQuery is much more event driven. Something happens, my code tells the DOM to show something, and it's the most natural thing in the world to do it as a smooth transition rather than just "show this now"
but angular, it's designed around quick, herky-jerky "change the screen so it looks like the memory! right now!" A year and a half ago I made a node.js 101 post that turned out useful as I tried to make a little babyserver letting us here experiment with datatables outside of our heavy weight angular / Java server environment. It looks like express.js, the library I used, has added a router(), so I decided to use that, and there's enough other new stuff to justify this blog post. The upshot is: every request to /sites?count=###&offset=### will return an array of size "count". Each array entry is a map with key rownum (a row number starting at "offset") and rowNumber, which is the same information but with each digit turned into its word form. Any other request will attempt to serve content from the public/ folder under baby.js' working folder. After you have node installed, put that in an appropriately named folder, go to it, and run "npm install"
http://www.sharelinkgenerator.com/ - just what it says on the tin, make links for FB and twitter, to prime people posting to their own wall/feed etc. 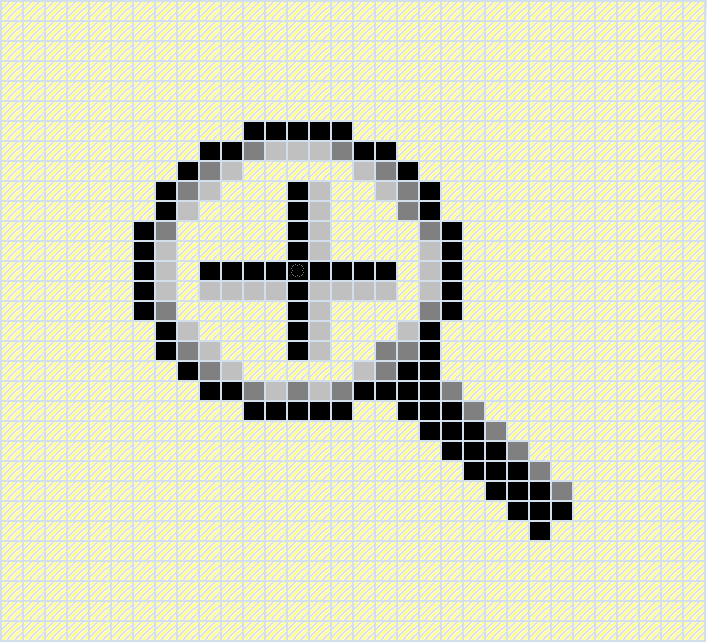 For some reason, the standard set of CSS cursors don't include a magnifying glass. But most browsers support .cur files, i.e. custom custor bitmaps. For magnify.cur, I found this public domain file, but I didn't quite like it because the lens part was opaque. So I found cursor.cc, an online .cur file editor, and made this magnify.cur. Lets call it public domain too.